That is my first thought when I sit down on a bench, clutching my backpack in the middle of Tokyo. My second thought is of a display I passed as I disembarked from my plane at Narita a couple of hours earlier. It was 6am. I was walking through a dimly lit corridor, dragging a small suitcase along as I approached the neon-lit passport control area. This scene could have taken place in any of the airports I had been to; there was nothing to tell me that I was here, in a faraway place I had never been to before. Then came the display. Seven hours later, I am definitely in Japan. I am sitting on a bench on a busy street, surrounded by a constant stream of people. Looking back later, I will realise I could have asked anyone for help but at the time I feel worried. I second-guess myself; every time I feel like asking for help, I am too afraid of being an ignorant tourist imposing my language onto someone else and expecting assistance. I won’t remember why I hold the assumption that literally no one speaks English. Back home, I always found the right words and if anything spoke too much. I never got lost, I rarely asked for directions. I carried myself with confidence, whereas now I don’t even have the strength to lift myself off this bench. I listen to the noise for another fifteen minutes before I finally find my feet again. I walk over to a taxi; the driver is sitting the front seat and is eating some kind of sweet when he looks up and sees me. He smiles and I slide into his back seat. I open my mouth and am struck by the realisation that for the first time, there is no guarantee that the person I am about to talk to will understand any of the words I am about to say. I feel embarrassed; I feel a sense of shame that I did not bother to learn even basically phrases.Before my trip, I was often quick to dismiss travellers who did not brush up on the local lingo as being arrogant. I rolled my eyes at friends and acquaintances who found themselves in foreign countries and complained that no one spoke English. I do not want to be one of those travellers. But here I am gaping like a fish, as the words cannot come out of my mouth through fear that I will look like an idiot. ‘Where would you like to go?’ asks the taxi driver with a polite smile. I feel a physical sense of relief as the blood drains away from my head and my mouth no longer feels dry. I shyly ask the taxi driver to take me to my hotel. My hotel is down a laneway that I pass about ten times as I circle the block trying to find it. Again, I feel embarrassed and silly and wonder if the driver thinks I am a silly foreigner, but if he does he certainly does not show it. He helps me with my bag and gives me a polite wave as I shuffle towards the reception. My hotel room is tiny. I sit on the bed and begin thinking about the events that brought me to Japan. I have always been a very methodical person; I very rarely do things on a whim. I plan everything precisely and early, to a point where I know I drive people insane with my lists and inability to let loose. But this trip literally came out of nowhere. It came out of a trip accompanying my parents to a travel agent. I was sitting with them while they were looking at a trip to Malaysia, and out of nowhere I said, ‘I want to go to Japan.’ And here I am. The way I see this culture shock now is as an experience where I felt like parts of me had been stripped away. First, I felt like I had lost my voice since I was too self-conscious and afraid to speak – through fear of either getting it wrong or not finding the right words. And as a writer and public speaker, this was almost frightening. But you learn; eventually you learn that there is a completely different non-verbal language that every single person can learn to speak, where you can even make someone else laugh by just communicating with your actions or your eyes or even just your smile. 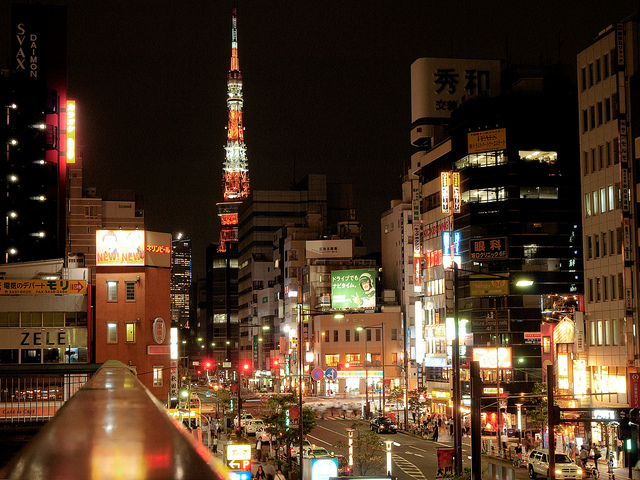 Culture shock also stripped me of my presence; I spent my first few days in Tokyo on my own and during those few days I felt almost removed from what was happening in front of me. Being alone in a massive city full of busy people leading busy lives made me feel like I was barely visible, and without a purpose. I could go hours – and almost a day – without speaking to anyone. On my last afternoon of being alone I sat in a coffee shop on a stool facing a window and watched people walk past. Everyone looked ahead; they all had somewhere to be and were just passing me by. After about ten minutes a girl in a fur coat walked past. Her stride was slower and she turned to look into the window and our eyes met. She gave me a polite smile, and as I smiled back I felt almost as if I was being coloured in; I felt visible. Two weeks later I was sitting on a bench alone, again. This time it was in Kyoto and I watched a sunset. Realistically not much had changed but I had met more people and I had learned more Japanese. As I watched the sunset, I reflected on my first experience of true culture shock and how I had since shaken that stripped-down feeling and begun to enjoy all the differences and my own otherness in this setting. I may not have thought this trip through, but I finally felt like I belonged in that moment as I watched the sun set over Kyoto. 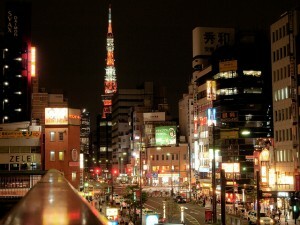 This entry was posted in Memoir and tagged culture shock, japan, memoir. Bookmark the permalink.